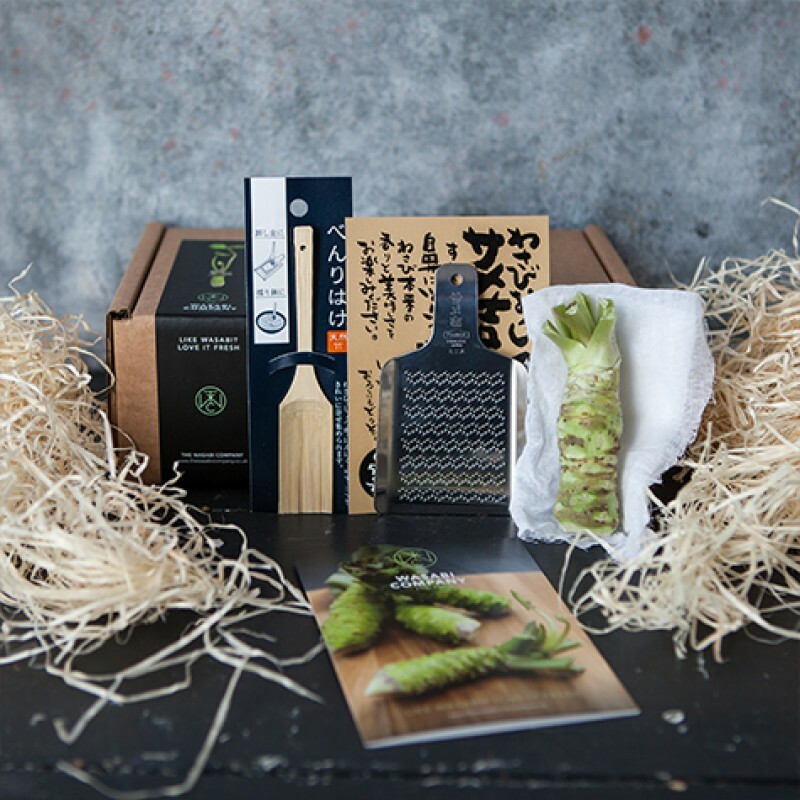 Experience the authentic flavour of fresh wasabi with this starter pack, includes a specially designed wasabi grater to create a fine paste and a bamboo wasabi brush to gather and mix the wasabi. 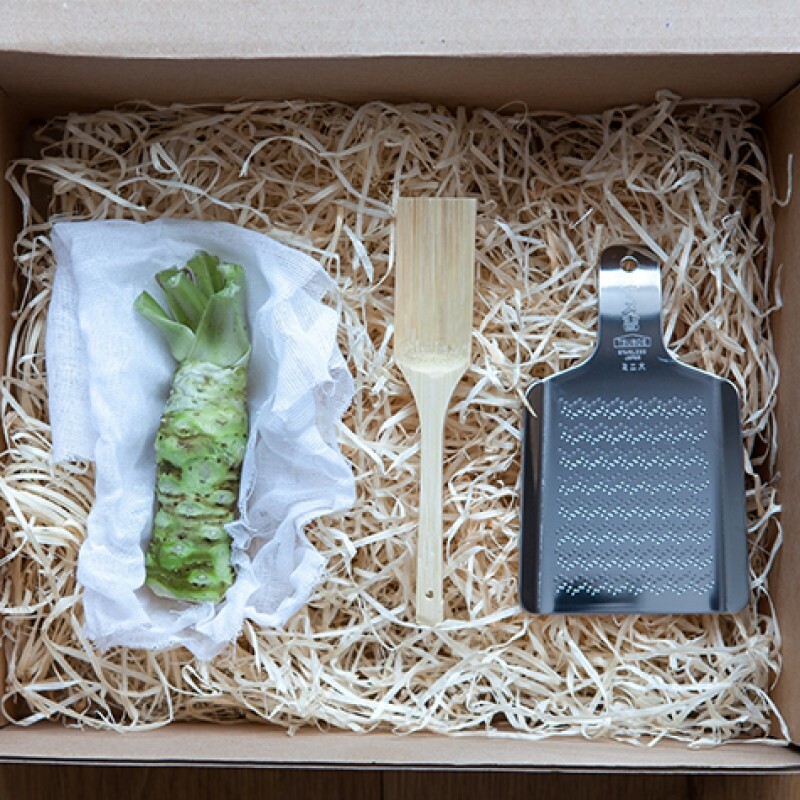 Also included is our fresh wasabi preparation guide that details how to prepare and store fresh wasabi. Fresh wasabi is classically paired with sushi and sashimi. Versatile in the extreme fresh wasabi can also flavour dressings, butters, sauces, ceviches, gravadlax, sorbets, foams and freshly grated will accompany meat or fish. Breaking wasabi down at the cellular level is vital to bring together compounds that are held in different parts of the cell. The enzyme reaction that results is responsibile for both flavour and pungency, this will peak after 5-7 mins, hold for 15 mins then slowly reduce. For this reason wasabi is served at the table and grated little and often. A wasabi grater brush will help you mix the wasabi and gather all of the valuable paste from the grater.